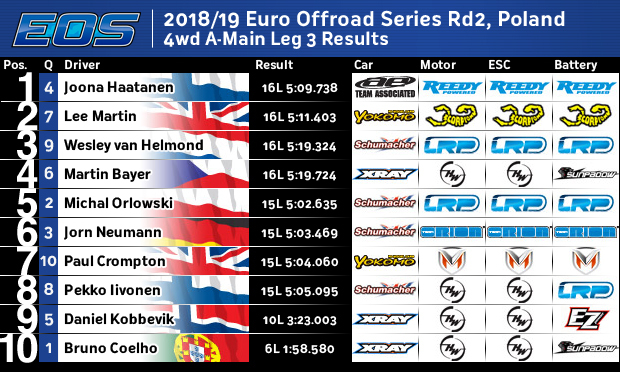 Joona Haatanen was the biggest beneficiary of all the chaos in A3, the understandably delighted Finn saying ‘Super happy, with the 4wd I won the main, it’s never happened before, I’m so happy, my car was working so good. 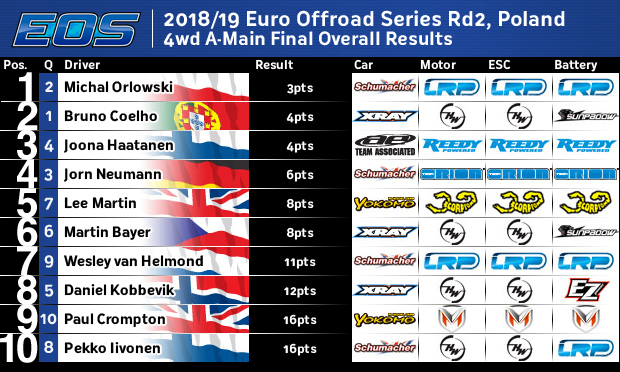 I was fighting with Lee, it was a crazy final but it turned out good.’ Jorn Neumann, who was also in contention for the overall victory and also needing a win, led the race for a while before dropping back 8th, eventually recovering to 6th and so had to settle for 4th overall, with Yokomo driver Lee Martin taking 5th overall, helped greatly by his 2nd spot in A3. 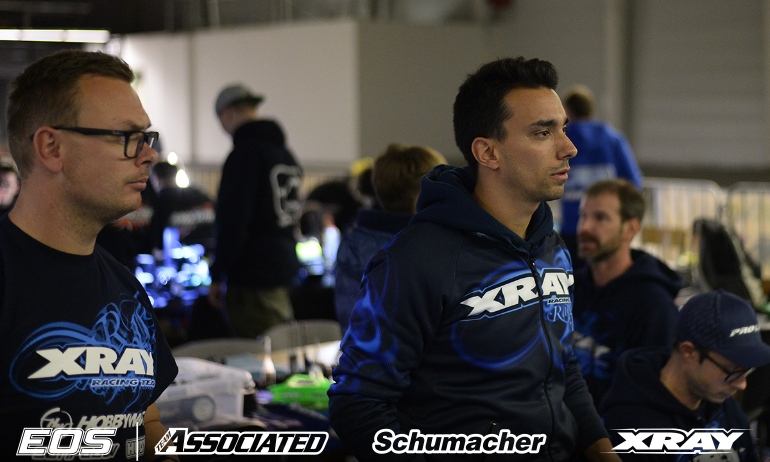 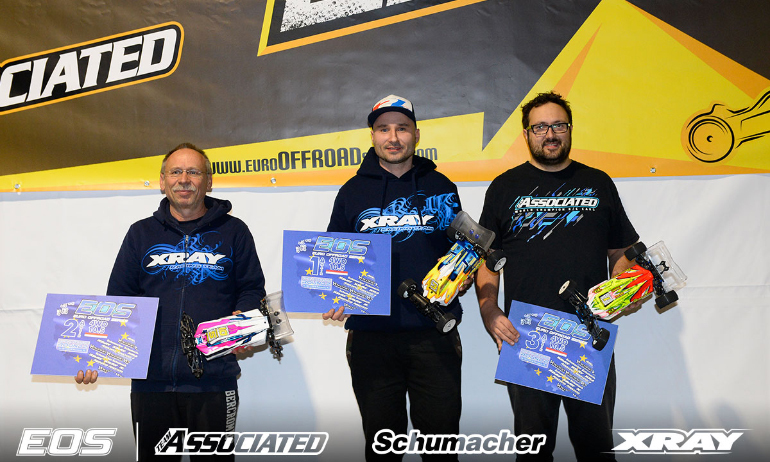 In the 4wd 10.5 class Mirko Morgenstern, driving an Xray, took the win from Xray boss Juraj Hudy in 2nd while Sven Rudig had to settle for 3rd with his Team Associated. 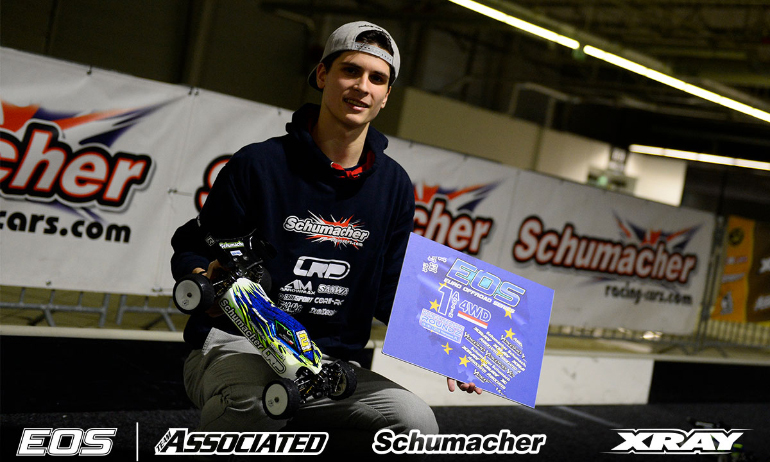 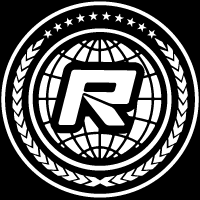 All 3 drivers taking a win a piece, with Morgenstern the only driver to back that up with a 2nd place the 2nd main. 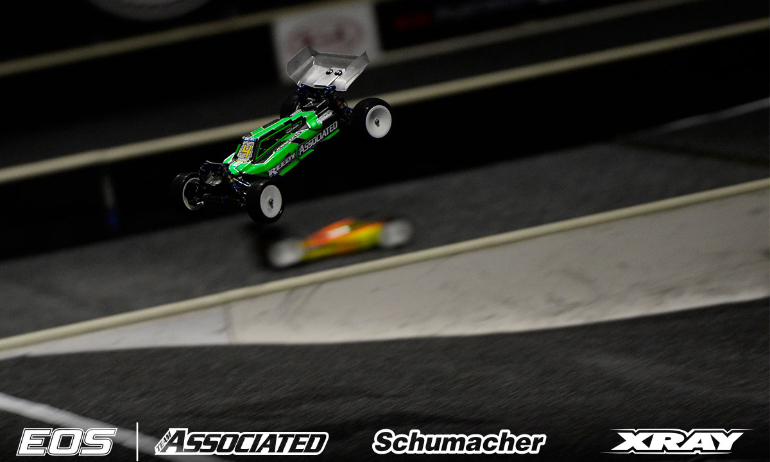 In the modified truck class Joona Haatanen won in 2 from Kaja Novotny in 2nd and Jorn Neumann in 3rd.